"Amazing office and staff! You come in as a patient and leave as family! Here you're not just a chart or number. They provide one-on-one care and Dr. Keefe REALLY takes his time with you and explains every step." *Cannot be combined with any other offer. Limited time offer. Schedule a comprehensive cleaning and exam and receive a free teeth whitening kit!! You’ll begin to see the effects quickly, and the results are easy to maintain when you touch-up after your six month cleaning appointments! Welcome to 5 Mile Smiles! At 5 Mile Smiles, we understand that going to the dentist can be stressful. That is why our team of friendly and experienced dental professionals strive to make your time with us a comfortable and relaxing experience. 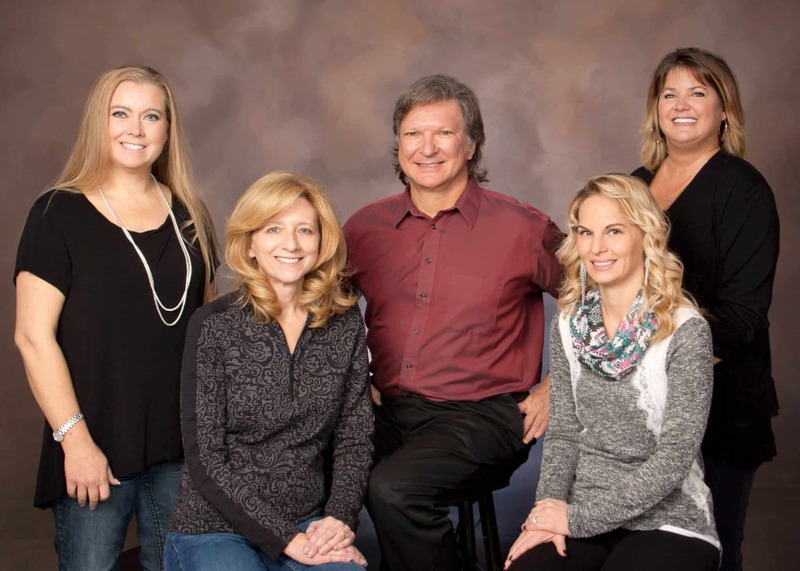 Led by Dr. Jason Keefe, our team is known throughout Spokane and the surrounding area for providing only the highest quality of oral health care to patients. Our state-of-the-art dental practice combines innovative technologies with a gentle, compassionate staff in a warm and inviting atmosphere. Whether you’re in need of a dental exam, dental implant or Invisalign, rest assured that your smile and oral health are in good hands with 5 Mile Smiles. Dr. Jason Keefe is one of the best dentists in Spokane, Washington, having served the area for the past 25 years. Dr. Keefe has studied with a number of dental experts including Dr. Ed Frederickson and Dr. Gordon Christensen. Through this training, Dr. Keefe refined his techniques and established a commitment to using the latest dental technology such as 3D CBCT imaging, CEREC Dental Crowns, and WaveOne. This technology allows Dr. Keefe and the talented dental hygienists at 5 Mile Smiles to provide efficient, accurate diagnoses for all patients in formats that are easy to understand. From regular check-ups to nearly invisible Invisalign braces, Dr. Jason Keefe and the staff at 5 Mile Smiles will help you obtain and maintain a brighter and healthier smile. Continue reading to learn more about the dental services we offer patients in Spokane and the surrounding area. We utilize comprehensive dental exams, X-rays, intraoral cameras, digital imaging and other advanced diagnostic tools to carefully check your mouth for dental issues. Our professional dental cleanings are gentle but effective in keeping cavities and other issues at bay. 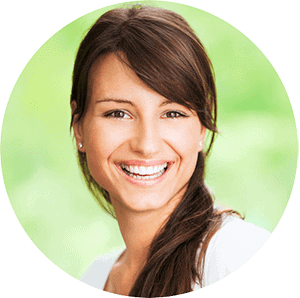 If a dental issue has occurred, our expert team can promptly address it with a restorative dental treatment. This includes dental crowns, dental implants, dental bridges and periodontal treatment. Not only can these treatments correct serious dental health problems, they can also strengthen your smile for optimal function. Always at the forefront of technology, Dr. Keefe is trained and experienced in using the innovative CEREC system, which allows him to create and place beautiful dental restorations in a single appointment. Are you unhappy with your smile? 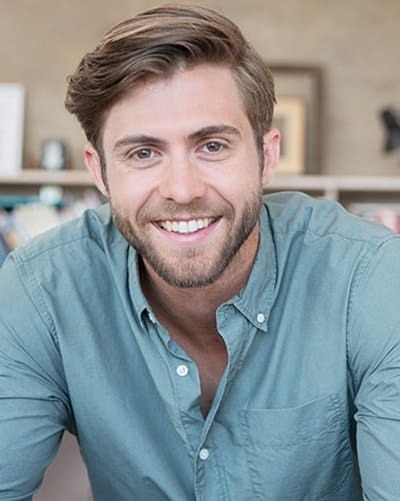 As a top cosmetic dentist in Spokane, Dr. Keefe has helped hundreds of individuals like you look and feel confident with an array of cosmetic dentistry services. Whether it be through dental bonding, porcelain veneers, teeth whitening, laser gum contouring or a multi-step smile makeover, Dr. Keefe can conceal or transform cosmetic imperfections to create your dream smile. 5 Mile Smiles believes in offering our patients choices when it comes to straightening crowded or misaligned teeth. We offer both traditional braces and ceramic braces, the latter of which blend in more with teeth than metal braces. We also offer Invisalign, which uses a set of clear aligner trays to straighten teeth as discreetly as possible. We’ll explain the benefits of each system to you and work with you to select the best option for your unique case. Call our Spokane office today to make your appointment! "I’ve been here several times and the service is always excellent. I make the drive up from pullman just because I know the level of care I receive here is worth it. Will be back again." "Dr. Keefe and Wendy were awesome. I was crunched for time and needed a filling and they got me in and out with time to spare. The are very efficient and friendly." "The staff is great and very friendly. Dr.Keefe is extremely competent and gentle when he works on his patients." "They took care of my wife and I so well! I broke several of my teeth in a basketball game, and they fit me right in and took great care of me."